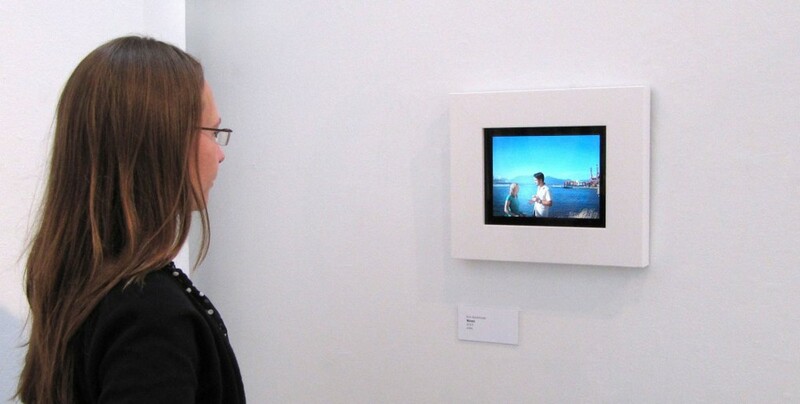 In Waves, digital photo frame technology is employed to make manifest a tangent of memory. Growing from a single constructed image, an imagined narrative points to the performative tendencies of subjects in front of the camera, and the transformation of an image into a trigger for the recollection of ‘cherished moments’. Delving into Barthes notion of the punctum, sound is used to create a more vivid, engaging experience for the viewer. As a photo comes to life in stilted video, fragments of soundscape and the appearance of industrial elements further complicate the initially idyllic composition.